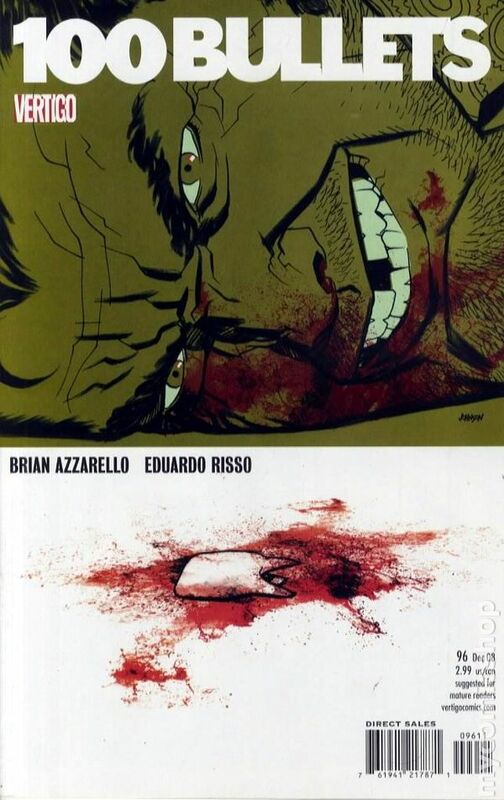 Written by Brian Azzarello Art by Eduardo Risso Cover by Dave Johnson The countdown to the series finale continues. After the tragic events of the D'Arcy hit, Remi Rome visits the hospital to check in on someone very, very close to him. But will the patient be there to say goodbye? 32 pg, FC, MATURE READERS Cover price $2.99. 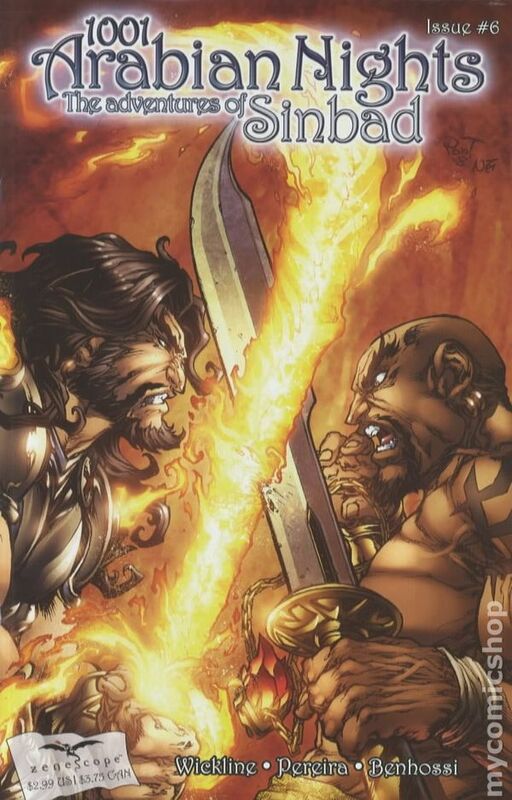 Published Dec 2008 by Zenescope Entertainment. 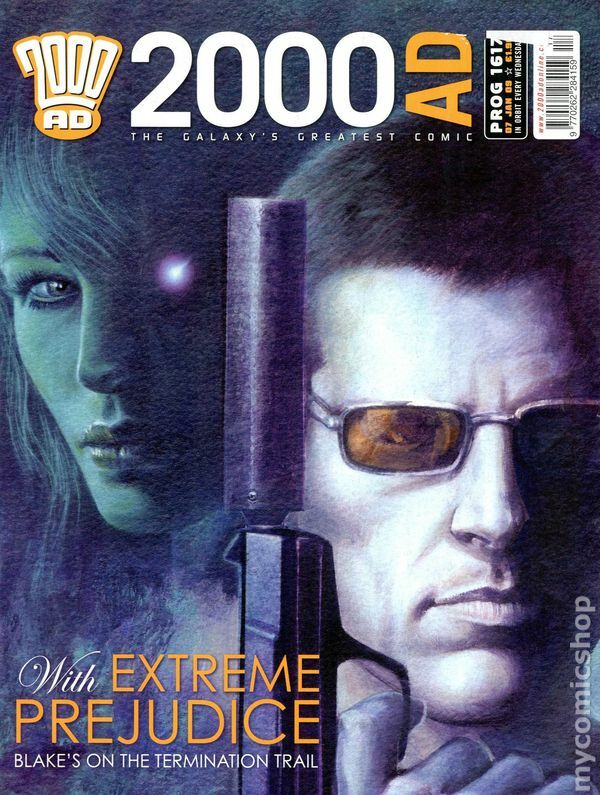 Cover by Paolo Pantalena. By Dan Wickline, Rob Pereira & Alexandre Benhossi. Having retrieved the second half of the Sunfury Amulet, Sinbad and his crew race back to the volcanic island of Ma'rut. The wizard Kabrít Amûd and his army of fire demons are hot on their tail, determined to retrieve the powerful magic amulet. Meanwhile, Pots' rescue of Samelia from the Witch Queen Alorana doesn't go as planned as Alorana's guards trap them in her palace chambers, cutting off any chance of escape! 32 pages, full color. Cover price $2.99. Cover by Aly Fell. By Dan Wickline, Rob Pereira & Alexandre Benhossi. Having retrieved the second half of the Sunfury Amulet, Sinbad and his crew race back to the volcanic island of Ma'rut. The wizard Kabrít Amûd and his army of fire demons are hot on their tail, determined to retrieve the powerful magic amulet. Meanwhile, Pots' rescue of Samelia from the Witch Queen Alorana doesn't go as planned as Alorana's guards trap them in her palace chambers, cutting off any chance of escape! 32 pages, full color. Cover price $2.99. Limited Edition Holiday Variant Cover by David Nakayama. By Dan Wickline, Rob Pereira & Alexandre Benhossi. Having retrieved the second half of the Sunfury Amulet, Sinbad and his crew race back to the volcanic island of Ma'rut. The wizard Kabrít Amûd and his army of fire demons are hot on their tail, determined to retrieve the powerful magic amulet. Meanwhile, Pots' rescue of Samelia from the Witch Queen Alorana doesn't go as planned as Alorana's guards trap them in her palace chambers, cutting off any chance of escape! 32 pages, full color. Cover price $2.99. Published Dec 2008 by Bluewater Productions. Written & illustrated by Mike Maydak. After seven long years, victory has reigned at Yorktown. Whispered among the colonies, the promises of long sought freedoms and liberties. But to the west, across the Appalachians, there are no such promises. Only more strife, more hardship, and more death. 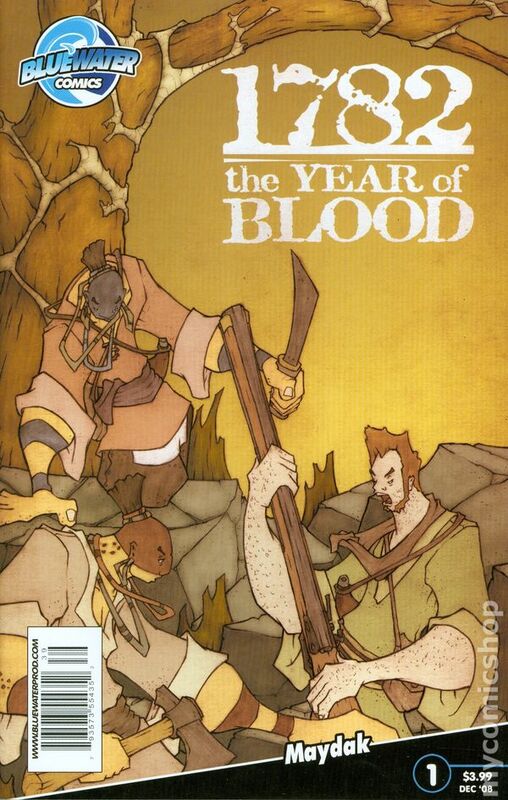 The year is 1782, the year of blood! 32 pages, full color. Cover price $3.99. 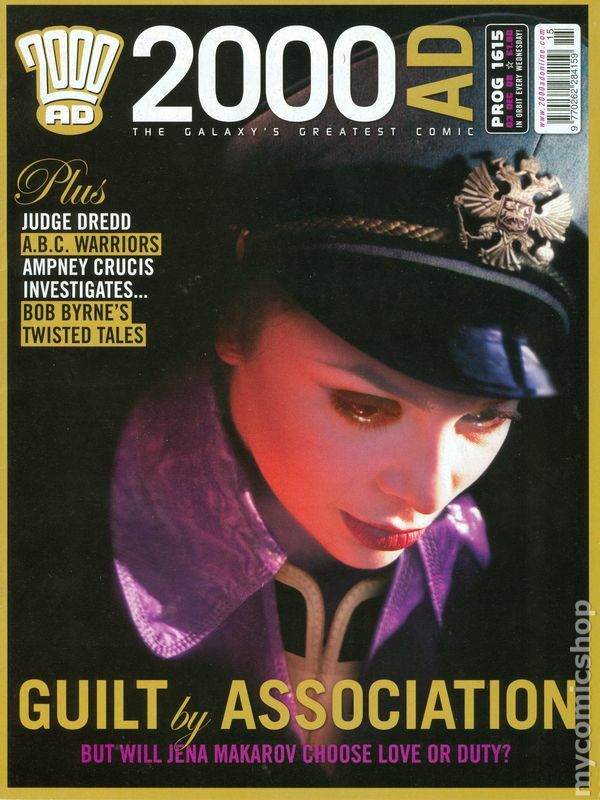 Published Dec 2008 by IPC/Fleetway. Judge Dredd "Birthday Boy" (Part 3) Written by Pat Mills, Art by Vince Locke and Chris Blythe; Ampney Crucis Investigates "Vile Bodies" (Part 5) Written by Ian Edginton, Art by Simon Davis; A.B.C. Warriors "The Volgan War" (Part 11) Written by Pat Mills, Art by Clint Langley; Twisted Tales "Tale #7" Written and Illustrated by Bob Byrne; Nikolai Dante "Prisoner of the Tsar" (Part 4) Written by Robbie Morrison, Art by John Burns. Saddle Stitched, 8-in x 11-in, 28 Pages, PC/PB&W. Judge Dredd "Birthday Boy" (Part 4) Written by Pat Mills, Art by Vince Locke and Chris Blythe; A.B.C. Warriors "The Volgan War" (Part 12) Written by Pat Mills, Art by Clint Langley; Ampney Crucis Investigates "Vile Bodies" (Part 6) Written by Ian Edginton, Art by Simon Davis; Nikolai Dante "Prisoner of the Tsar" (Part 5) Written by Robbie Morrison, Art by John Burns. Saddle Stitched, 8-in x 11-in, 28 Pages, PC/PB&W. January 7, 2009. Cover by John Higgins. Written by John Wagner, Pat Mills, Robbie Morrison and Ian Edginton. Art by Paul Marshall, John Higgins, Richard Elson, Steve Yeowell, Carlos Ezquerra and Hector Ezquerra. 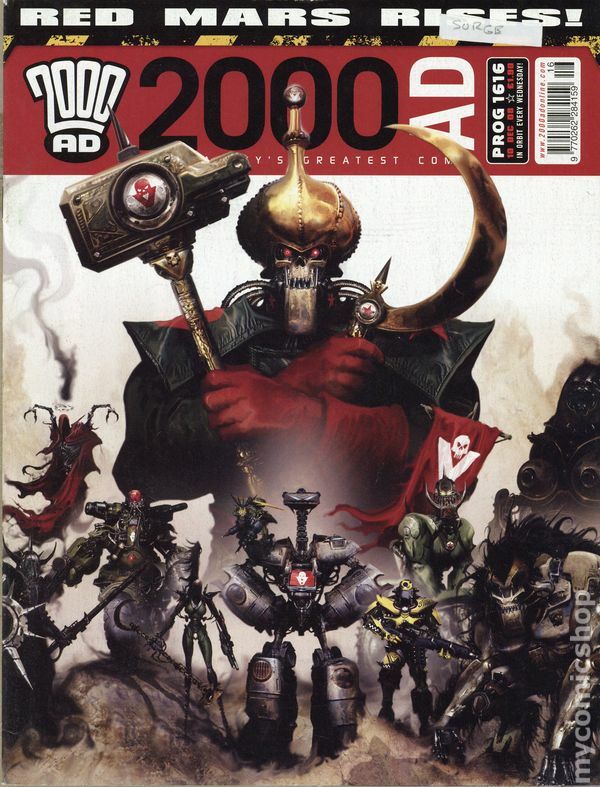 In this Prog: Judge Dredd in "The Ecstasy: Part 1"; Greysuit story "The Old Man of the Mountains: Part 2"; "Marauder: Part 2"; The Red Seas story "Signs and Portents: Part 2"; and Strontium Dog in "Blood Moon: Part 2"! 28 pages, PC/PB&W. Limited 1 for 10 variant cover by Ben Templesmith. Story and Art by David Lapham. 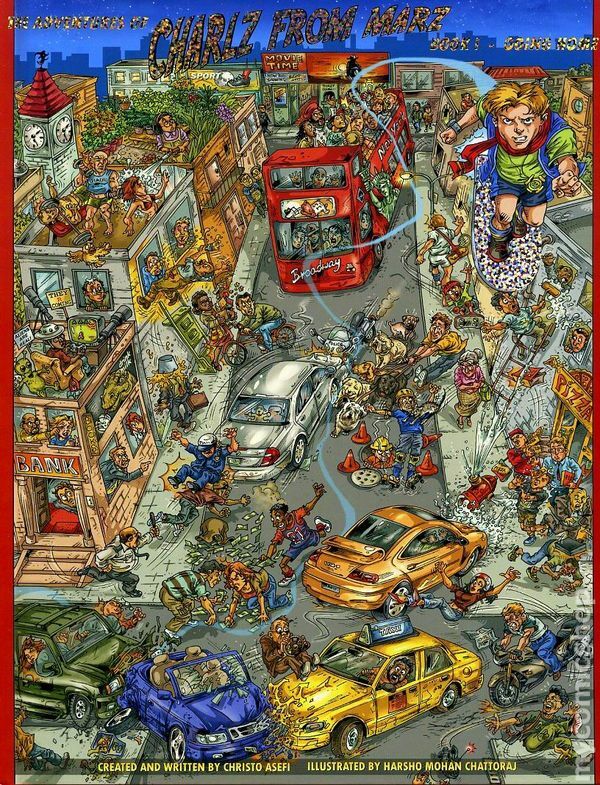 David Lapham, the acclaimed Eisner Award-winning creator of Stray Bullets, brings his unique brand of graphic storytelling to 30 Days of Night and IDW. In 30 Days 'til Death, Rufus is just a guy trying to fit in, to get by and not be noticed. But there's a catch; Rufus is a vampire. So why does a vampire want to keep such a low profile? Because he is being tracked by the mother of all hit squads, made up of 'old guard' vampires who don't take kindly to these punk kids and their new ways. 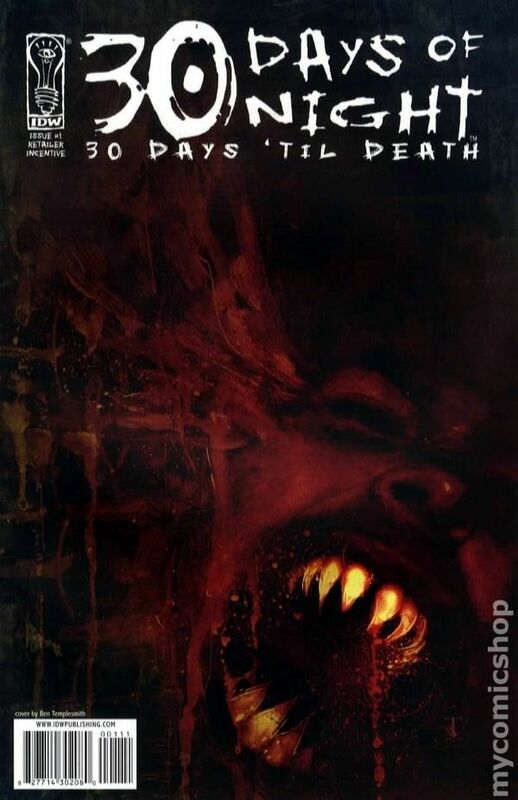 30 Days co-creator Ben Templesmith provides a special variant cover for every issue, too! 32 pages, full color. Cover price $3.99. Cover by Gary Frank. Brainiac: Part 5 of 5 - Written by Geoff Johns. Art by Gary Frank and Jon Sibal. 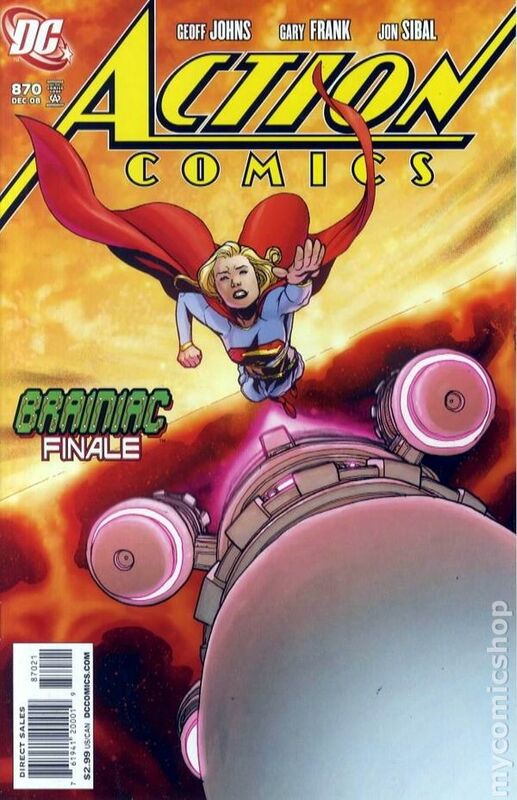 The 'Brainiac' finale! It's Superman versus Brainiac with everything at stake! No longer content to simply eradicate Superman, Brainiac is now determined to destroy Earth like so many other planets he's left in his wake. But Brainiac's ship is full of many bottles, inside of which some surprise guest-stars lurk! And while hope may blossom on Brainiac's ship, there's one life even the Man of Steel can't save. 32 pg, FC. Cover price $2.99. Limited Variant cover by Andy Kubert. Brainiac: Part 5 of 5 - Written by Geoff Johns. Art by Gary Frank and Jon Sibal. 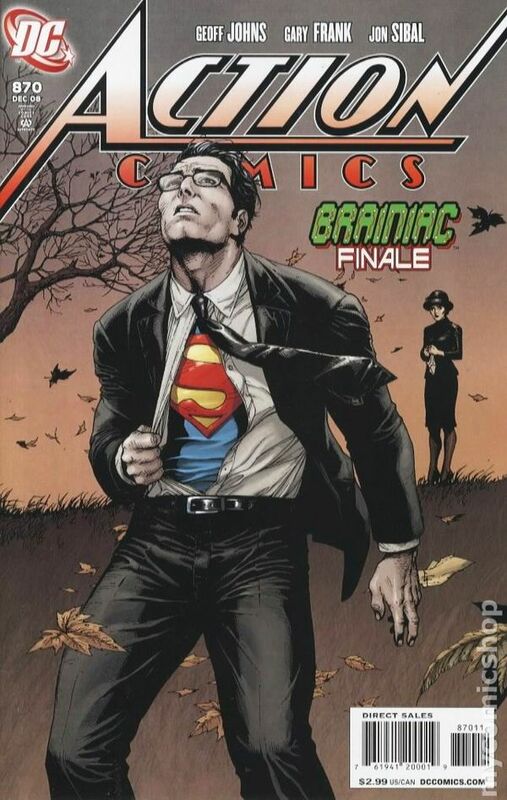 The 'Brainiac' finale! It's Superman versus Brainiac with everything at stake! No longer content to simply eradicate Superman, Brainiac is now determined to destroy Earth like so many other planets he's left in his wake. But Brainiac's ship is full of many bottles, inside of which some surprise guest-stars lurk! And while hope may blossom on Brainiac's ship, there's one life even the Man of Steel can't save. 32 pg, FC. Cover price $2.99. Published Dec 2008 by Cinebook. Volume 5 - 1st printing. 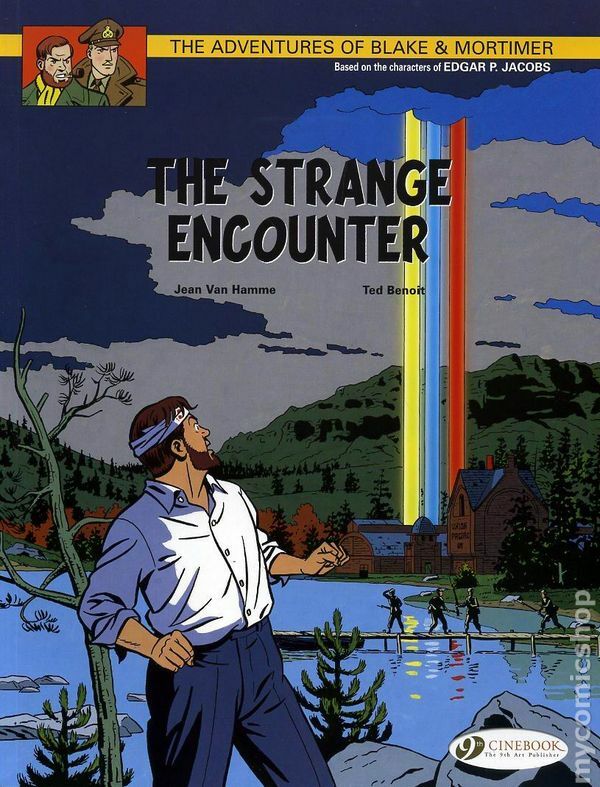 "The Strange Encounter!" Based on the characters created by Edgar Pierre Jacobs. Written by Jean Van Hamme. Art by Ted Benoit. Blake and Mortimer head to the United States to investigate the mysterious circumstances surrounding the discovery of a 177-year-old body, which appears to have died very recently. The body is that of a Scottish major, Mortimer's forebear, who was leading a British military expedition to the United States in 1777, where he was swallowed up by a strange multi-colored light-beam shining down from the sky. Blake and Mortimer fight men in black armed with green-laser guns and soldiers emerging from the past in order to save the Earth from complete obliteration! Softcover, 8 1/2-in. x 11-in., 72 pages, full color. Cover price $15.95. Published Dec 2008 by Dreamerland. Volume 1 - 1st printing. "Book 1: Going Home!" By Christo Asefi and Harsho Mohan Chattoraj. This is the fantastic, action-packed tale of a boy named Charlz who is raised by a robot on planet Marz. Charlz' adventures bring him back to Earth in search of his parents. Along the way, his travels take him to extraordinary places that include crossing paths with such characters as Space Pirates, Aliens, Knights, a Giant, and many more! Hardcover, 8-in. x 11-in., full color. Cover price $14.95. Published Dec 2008 by Little Spirit Bear Produc. Volume 2 - 1st printing. "The Voyageurs!" By Chad Solomon and Christopher Meyer. Two mischievous heroes are up to their old games again in this new comical adventure! 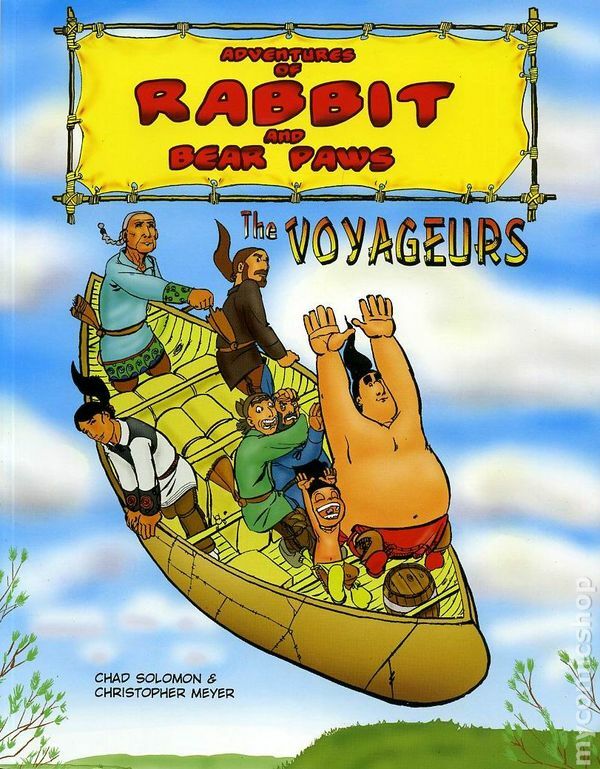 Rabbit and Bear Paws join the Voyageurs to take the Furs from Lake of the Woods to Montréal and experience all the trials and tribulations of being a Voyageur. The young heroes face the life of a voyageur with bravery, as they are confronted by thieves and dangers around every river bend! Softcover, 8 1/2-in. x 10 1/2-in., 32 pages, full color. Cover price $7.95. Written by JEFF PARKER & PAUL TOBIN Penciled by NICK DRAGOTTA & MICHAEL CHO Cover by DAVE BULLOCK The Man Vs. 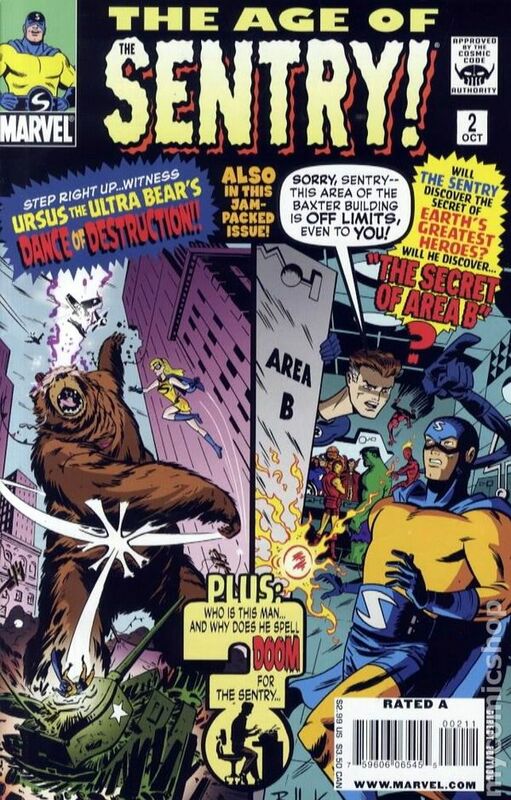 Nature conflict reaches epic levels when The Sentry must face the towering Mauling Menace known as URSUS the ULTRABEAR! Also: Why are all the other heroes suddenly avoiding the Sentry? For all his powers, the Sentry now finds himself helpless, faced off against a wall of silence and lurking menace, standing alone until he can uncover the deadly clues leading to The Secret of Area B! Plus, the atomic menace of the Super-Collider! All this in one full-color issue! Be there! 32 PGS./Rated A ...$2.99 Cover price $2.99. Written by G. Willow Wilson Art and cover by M.K. Perker Blythe has traveled across the globe in search of the man she loves - a man who also might be a terrorist. Now, she's a prisoner in Narimar, a country that doesn't exist on any maps, and to survive, she'll need to become a key player in its civil war or wind up a casualty of it. Continuing the series from the acclaimed team of writer G. Willow Wilson and artist M.K. Perker. 32 pg, FC MATURE READERS Cover price $2.99. Volume 2 - 1st printing. "The Group!" Story and art by Leo. 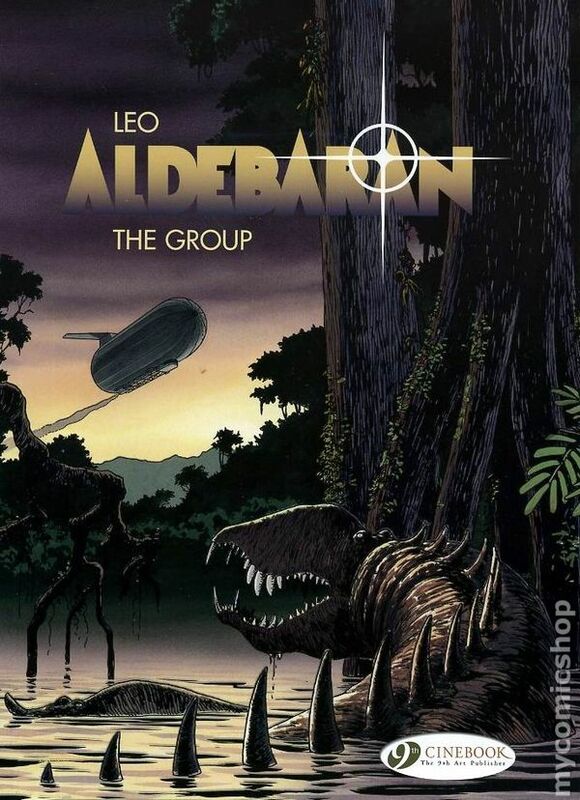 Return to Aldebaran, the planet where the first human colony in the solar system was founded. Mark and Kim, teenagers whose village was annihilated, met a woman named Alexia during their escape. A biologist, she is a friend to Driss, the man who knows a lot about the catastrophe, and shares his secrets. The government has taken notice of her, and they have sent soldiers to pursue her. While trying to help her, Mark is arrested and languishes in prison for 3 years. It's the mysterious Mr. Pad, an odd character Mark has already met, who helps him escape from prison! Softcover, 96 pages, full color. Cover price $19.95. 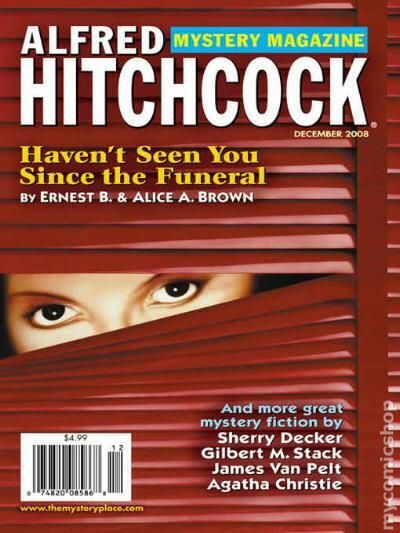 Published Dec 2008 by Pure Imagination. Volume 2 - 1st printing. By Alex Toth. The year 1953 marked a turning point in Toth's career, and the change is represented in thirty stories from that year. Be it horror, war, romance, or science fiction, here is where Alex decided on his style. See why all of his peers stood up and paid attention. Much of this volume is shot from Toth's original art work, the rest is Theakstonized for maximum clarity. Softcover, 8 1/2-in. x 11-in., B&W. Cover price $25.00. Published Dec 2008 by H.S.D. Publications. 1st printing. 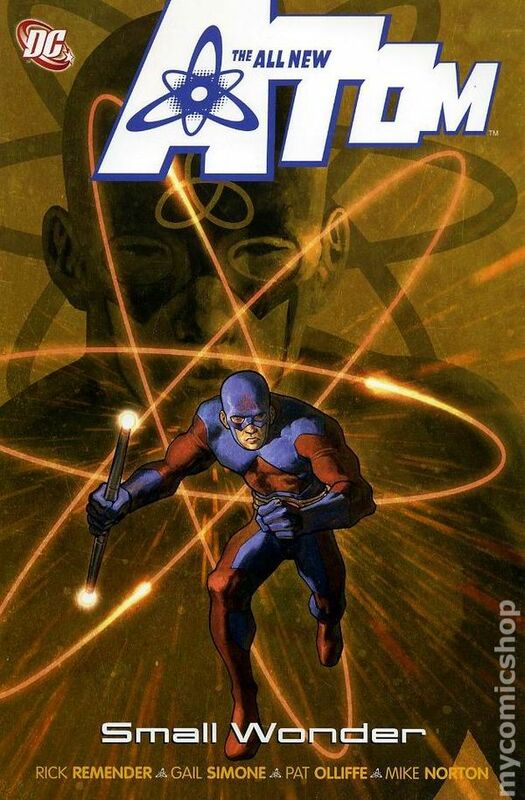 Collects All New Atom (2006 DC) #17-18 and #20-25. Written by Gail Simone and Rick Remender. Art by Mike Norton, Trevor Scott, Pat Olliffe, and John Stanisci. Cover by Ladrönn. This final volume in the series features a guest appearance by Wonder Woman! Plus, the Atom discovers a population of microscopic, matter-consuming creatures living in his blood that may hold the secrets to his powers! Softcover, 192 pages, full color. Cover price $17.99. Published Dec 2008 by TwoMorrows. Alter Ego goes 'All the Way with MLJ!' Michelle Nolan's ultimate Golden Age MLJ index is lavishly illustrated with vintage (and later) images of The Shield, Hangman, Mr. Justice, Black Hood, and more by Irv Novick, Jack Cole, Bob Fujitani, Charles Biro, Paul Reinman, Irwin Hasen, Mort Meskin, Gil Kane, Harry Shorten, Jack Binder, Harry Lucey, Bob Montana, and others, all behind a marvelous MLJ-heroes cover by Bob McLeod! Plus, interviews with Irv Novick and Joe Edwards, P.C. Hamerlinck's FCA (Fawcett Collectors of America), Bill Schelly's 'Comic Fandom Archive,' Bob Rozakis' 'Secret History of All-American Comics, Inc.,' and more! Cover price $6.95. Published Dec 2008 by Seven Seas. Volume 5 - 1st printing. Written by Nunzio DeFilippis and Christina Weir. Art by Shiei. It's all been leading to this! The evil Count Von Bucken finally knows Luna's secret and has hatched a diabolical plan to use Martin and Timothy's equipment to unleash a clone to destroy Luna Collins at the most important event of her high school life: Nobel High's school dance! Softcover, 5-in. x 7-in., 192 pages, B&W. Cover price $10.99. Published Dec 2008 by Amazing Publications. 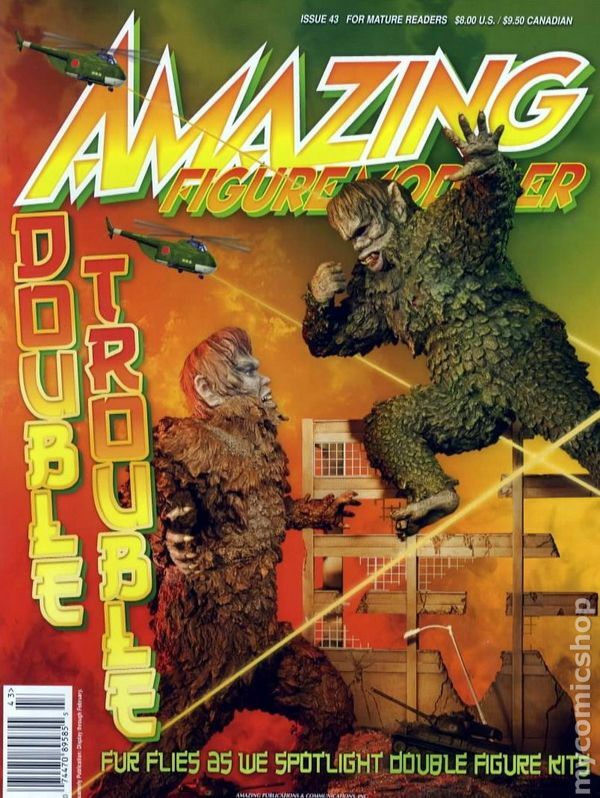 Amazing Figure Modeler explores the dual possibilities of two figure kit releases. These unique combo kits cover a wide variety of subject matter and this issue utilizes some of the latest and greatest creations the hobby has to offer. Slated articles include the twin titans from Toho Studios, 'War of the Gargantuas' as well as Nocturna Productions' 'Cursed,' a horrific pairing that's part beauty, part beast. WETA's 'Kong vs. V-Rex' statue fights tooth, nail and claw as the gigantic pre-paint gets a re-paint. This issue also serves up Spider Zero's juicy new 'Butterball' sculpt along with another kit that carries a lot of issues on its back, 'Master-Blaster' from Thunderdome. X-O Facto's perfect pairing's of Universal classics will be represented and sculptor Scott Whitworth demonstrates how to correctly key up your sculpture for casting. Cover price $8.00. 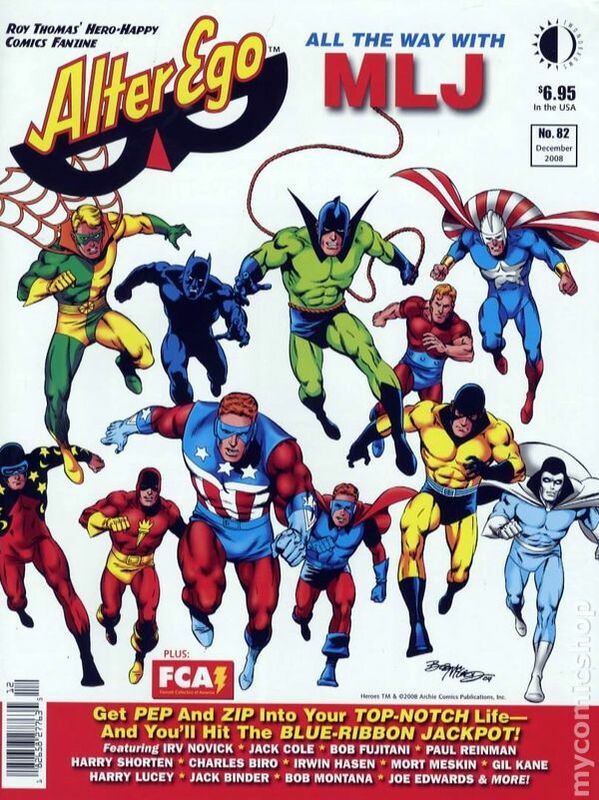 Written by TOM DEFALCO Pencils & Cover by RON FRENZ 'Know Thy Enemy!' 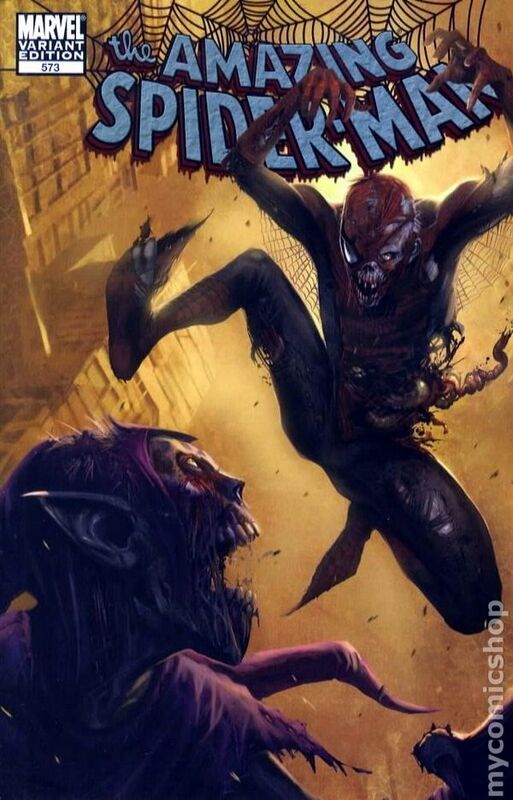 As Spider-Girl learns the fate of a family member, the Hobgoblin unearths the secret origin of the Black Tarantula. Cover price $2.99. Zombie Variant by PAT OLLIFE. Written by TOM DEFALCO Pencils by RON FRENZ. 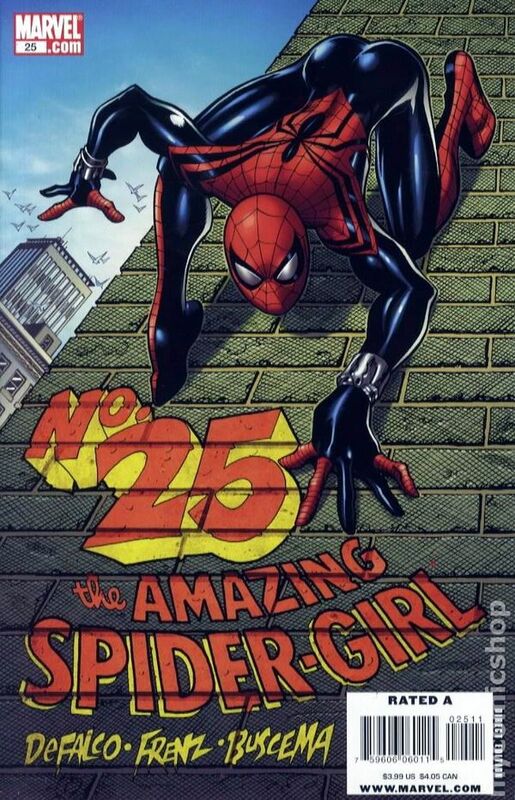 With her life stolen by the mysterious Brand New May and her father in the hands of Fury, the Goblin Queen, a gravely injured Spider-Girl must carve a new life for herself as friends turn against her and old enemies come to her aid--and that's just the beginning of this double-sized 25th issue spectacular! 48 PGS./Rated A Cover price $2.99. Volume 4 - 1st printing. "Brand New May!" 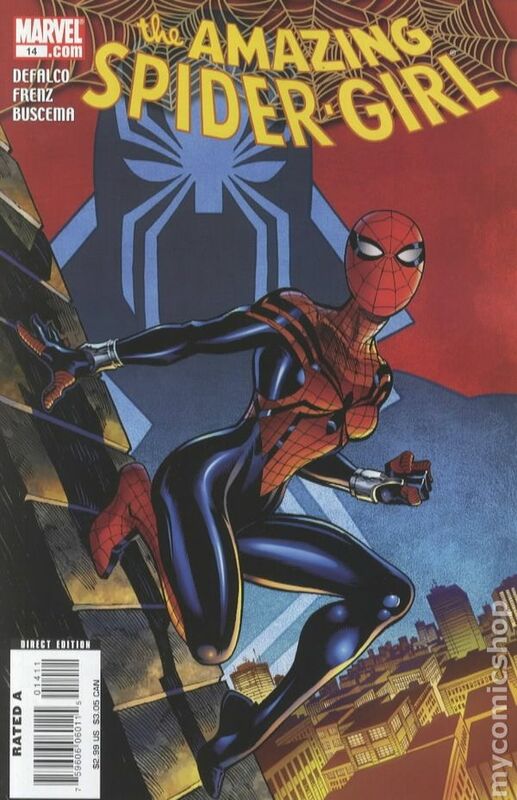 Collects Amazing Spider-Girl (2006-2009) #19-24. 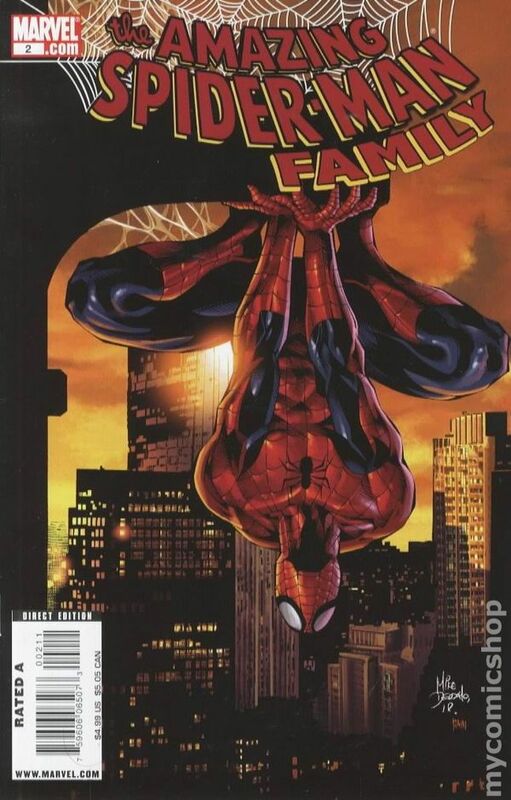 Written by TOM DEFALCO. Art and cover by RON FRENZ. 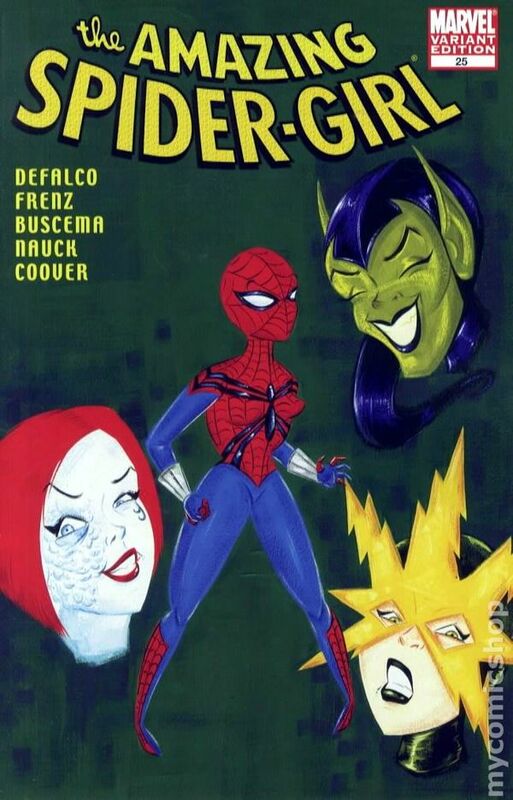 At last, the battle you never thought you'd see: Spider-Girl versus Araña! 'Nuff said! 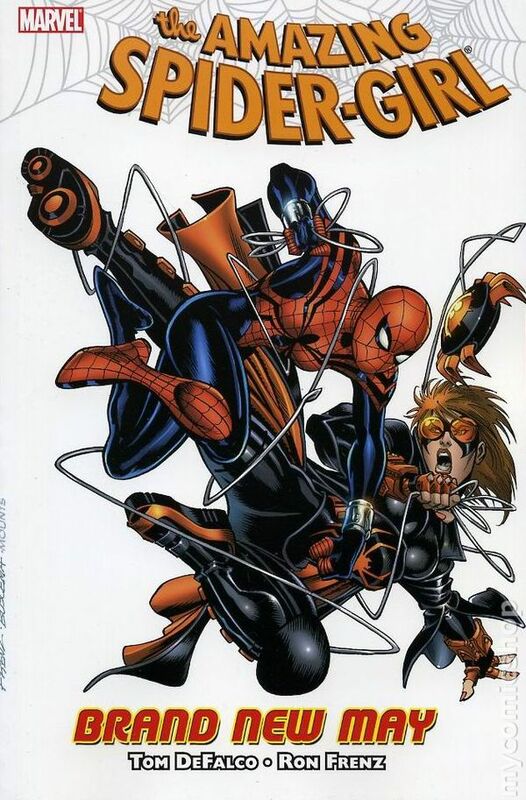 Plus: It's the start of a Brand New May as Mayday Parker decides to make some startling changes when her mysterious stalker is finally revealed and Moose launches his first attack against Spider-Girl. Softcover, 168 pages, full color. Cover price $16.99. 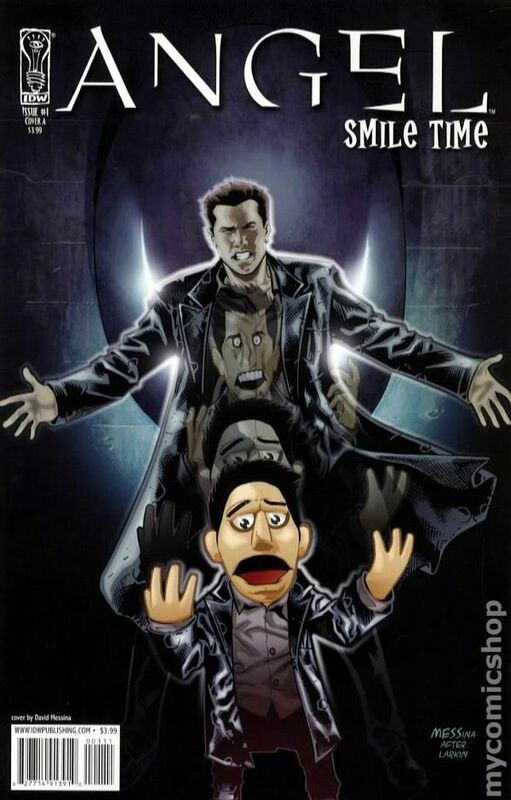 Cover by JOHN ROMITA JR.. NEW WAYS TO DIE: Part 6 of 6 - Written by DAN SLOTT Pencils by JOHN ROMITA JR. NEW WAYS TO DIE: THE FINAL CHAPTER Some jobs a man just has to do with his own two hands! For the first time in a loooong time, it's the one, true GREEN GOBLIN versus the AMAZING SPIDER-MAN! And whoever walks away from this one still has to face... HARRY OSBORN?! Just what is HARRY up to?! Plus: ANTI-VENOM goes toe-to-toe with a classic villain from Spidey's past! This one's got it all (including more pages! ), Spider-Fans, and when it's over, your eyes are gonna need a vacation! 48 PGS./Rated A Cover price $3.99. Variant Cover by KEVIN MAGUIRE. NEW WAYS TO DIE: Part 6 of 6 - Written by DAN SLOTT Pencils by JOHN ROMITA JR.NEW WAYS TO DIE: THE FINAL CHAPTER Some jobs a man just has to do with his own two hands! For the first time in a loooong time, it's the one, true GREEN GOBLIN versus the AMAZING SPIDER-MAN! And whoever walks away from this one still has to face... HARRY OSBORN?! Just what is HARRY up to?! Plus: ANTI-VENOM goes toe-to-toe with a classic villain from Spidey's past! This one's got it all (including more pages! ), Spider-Fans, and when it's over, your eyes are gonna need a vacation! 48 PGS./Rated A Cover price $3.99. Variant Edition. Scuffing to inner well of slab. Zombie Variant by MARKO DJURDJEVIC. NEW WAYS TO DIE: Part 6 of 6 - Written by DAN SLOTT Pencils by JOHN ROMITA JR. NEW WAYS TO DIE: THE FINAL CHAPTER Some jobs a man just has to do with his own two hands! For the first time in a loooong time, it's the one, true GREEN GOBLIN versus the AMAZING SPIDER-MAN! And whoever walks away from this one still has to face... HARRY OSBORN?! Just what is HARRY up to?! Plus: ANTI-VENOM goes toe-to-toe with a classic villain from Spidey's past! This one's got it all (including more pages! ), Spider-Fans, and when it's over, your eyes are gonna need a vacation! 48 PGS./Rated A Cover price $3.99. This is a consignment item. A 3% buyer's premium ($3.14) will be charged at checkout. 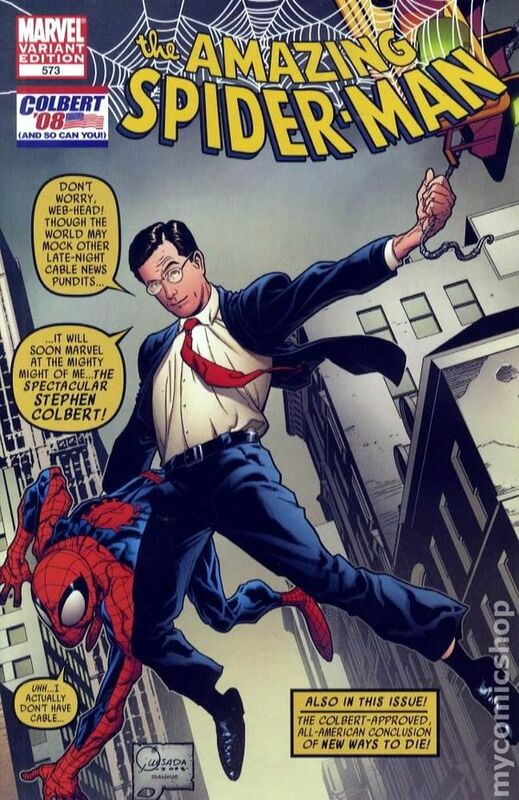 Cover by Joe Quesada featuring Stephen Colbert of the "Colbert Report!" 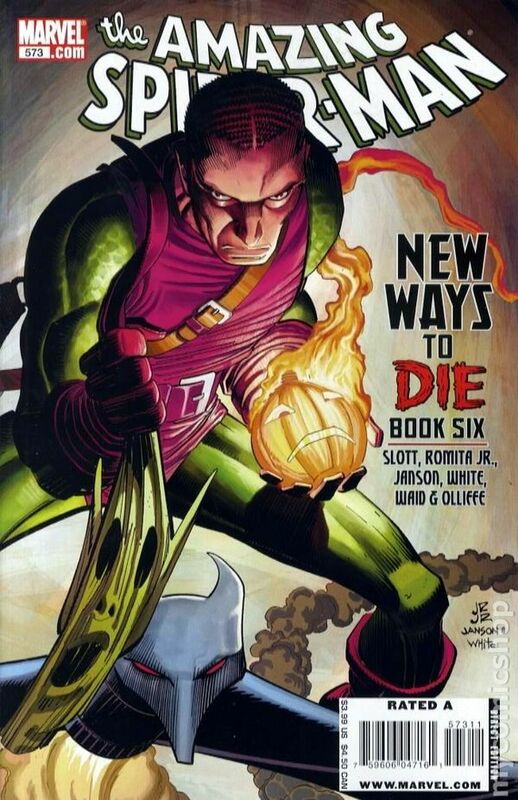 NEW WAYS TO DIE: Part 6 of 6 - Written by DAN SLOTT Pencils by JOHN ROMITA JR. NEW WAYS TO DIE: THE FINAL CHAPTER Some jobs a man just has to do with his own two hands! For the first time in a loooong time, it's the one, true GREEN GOBLIN versus the AMAZING SPIDER-MAN! 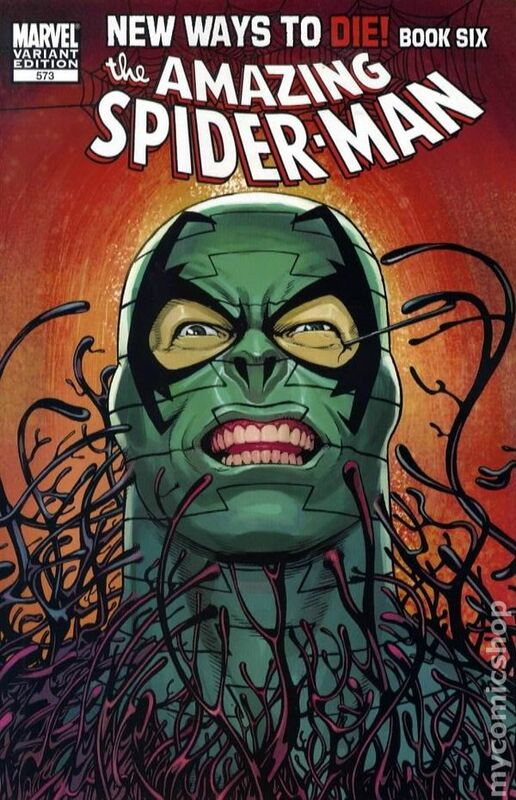 And whoever walks away from this one still has to face... HARRY OSBORN?! Just what is HARRY up to?! Plus: ANTI-VENOM goes toe-to-toe with a classic villain from Spidey's past! This one's got it all (including more pages! ), Spider-Fans, and when it's over, your eyes are gonna need a vacation! 48 PGS./Rated A Cover price $3.99. 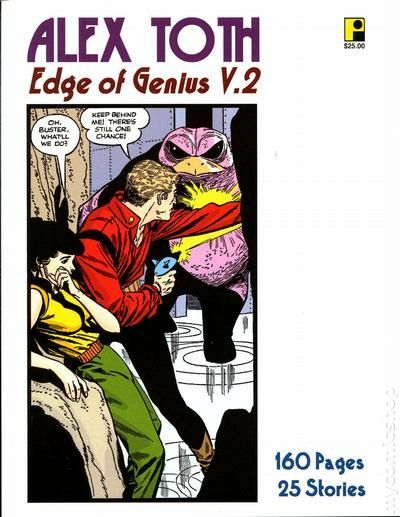 Written by MARC GUGGENHEIM Pencils & Cover by BARRY KITSON WHATEVER HAPPENED TO FLASH THOMPSON? 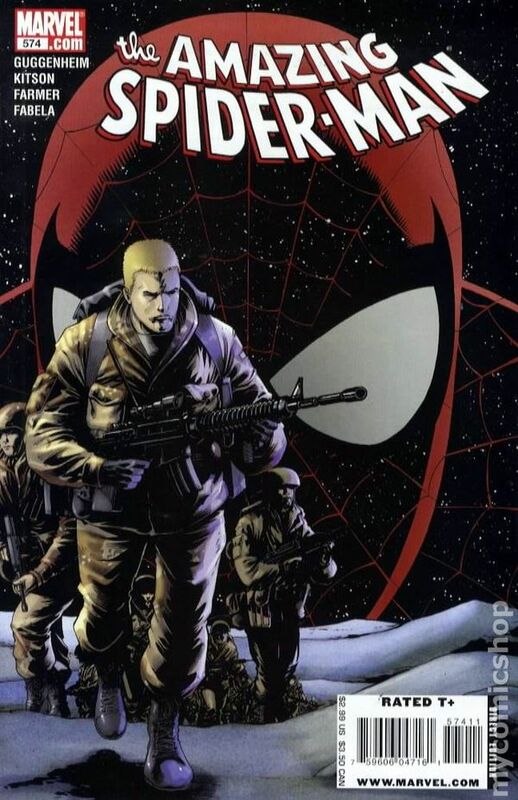 A powerful story taking Peter Parker's former nemesis and Spider-Man's biggest fan from the avenues of New York to the war torn Middle East along with his fellow brothers in the US Army. 32 PGS./Rated A Cover price $2.99. Published Dec 2008 by HarperCollins. 1st printing. Written by Jennifer Frantz. Art by Andie Tong. 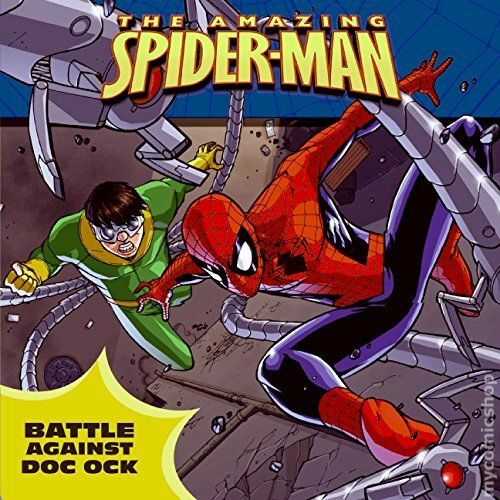 The famous Doctor Otto Octavius—now known as Doctor Octopus—plans to use his years of scientific research to dominate the world. Spider-Man must draw on both his powers and his brains to overcome the clever scientist and stop this evil scheme from becoming a reality. Softcover (Saddle-Stitched/Stapled), 8-in. x 8-in., 24 pages, full color. All Ages Cover price $3.99. Volume 2 - 1st printing. 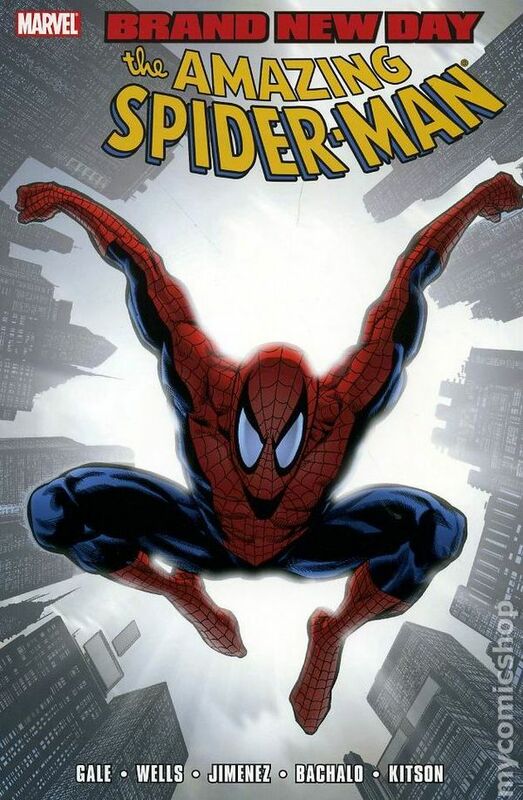 Collects Amazing Spider-Man (1998- 2nd Series) #552-558. Written by BOB GALE and ZEB WELLS. Art by PHIL JIMENEZ, CHRIS BACHALO and BARRY KITSON. Cover by PHIL JIMENEZ. Spider-Man's Brand New Day continues, with more all-new adventures. Two new creative teams join the fray as writers Bob Gale (the Back to the Future trilogy) and Zeb Wells (HEROES FOR HIRE) rock Spidey's world along with new artists Phil Jimenez (NEW X-MEN), Chris Bachalo (X-MEN) and Barry Kitson (THE ORDER). Peter confronts major changes at the Daily Bugle while New York is under siege by a blizzard, and a new villain, Freak, rampages through town. If he hopes to stand a chance against this new threat, Spider-Man is going to have to enlist the help of his New Avengers teammates! Softcover, 168 pages, full color. Cover price $19.99. Written by JOHN ARCUDI, TOM DEFALCO & MORE Penciled by RAMON BACHS, RON FRENZ & MORE Cover by MIKE DEODATO In a story by BPRD's JOHN ARCUDI and MARVEL APES' RAMON BACHS, track a crime across the years as we see a criminal's path covered from the Daily Bugle to the DB. Then, in Mr. and Mrs. Spider-Man, Tom DeFalco and Ron Frenz show you how a father like Peter Parker deals with leaving his child for the day - remembering how his parents never returned when they last left him. Also, see more slices of Peter Parker's Brand New World and take a look at this month's AMAZING returning villain, HAMMERHEAD! 104 PGS./Rated A Cover price $4.99. Volume 1 - 1st printing. "Evil Comes in Pairs!" Written by Kate Egan. Art by Joe F. Merkel. A game of two against one. 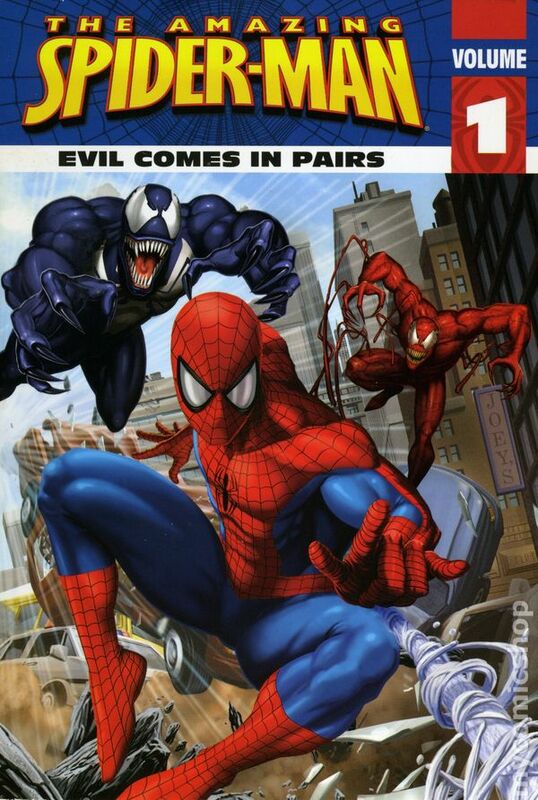 Venom and Carnage combine forces to defeat Spider-Man once and for all. With not one but two dangerous foes to fend off, Spider-Man discovers that the challenges of protecting the innocent have suddenly doubled. The war between good and evil rages on! Softcover, 5-in. x 7-in., 64 pages, Text (with B&W Chapter Illustrations). Cover price $4.99. Volume 2 - 1st printing. "The Secret Life of Black Cat!" Written by Kate Egan. Art by Joe F. Merkel. On the prowl... 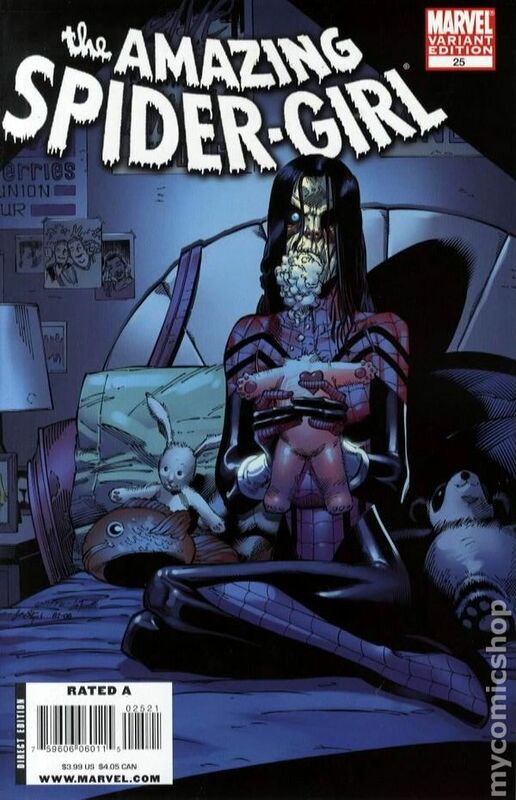 The infamous Cat Burglar is locked up--and his devoted daughter, Felicia Hardy, has big plans to take action. As the Black Cat, Felicia embarks upon a dangerous mission to set her father free. A thrilling chase ensues when Spider-Man interrupts the plan. Will Spider-Man be able to escape the jinx of the Black Cat? Softcover, 5-in. x 7-in., 64 pages, Text (with B&W Chapter Illustrations). Cover price $4.99. 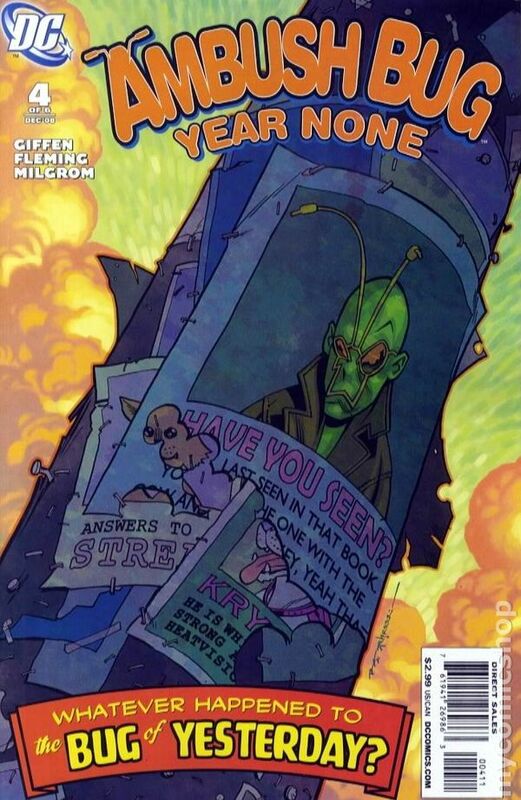 Written by Keith Giffen & Robert Loren Fleming Art by Keith Giffen & Al Milgrom Cover by Brian Stelfreeze How can the DC Universe survive a year without Ambush Bug? This question may or may not be answered, cats and dogs may or may not live together, this copy may or may not make any sense and we may or may not take a journey through the world of 52. ? 4 of 6 ? 32 pg, FC Cover price $2.99. Published Dec 2008 by Image. Volume 1 - 1st printing. 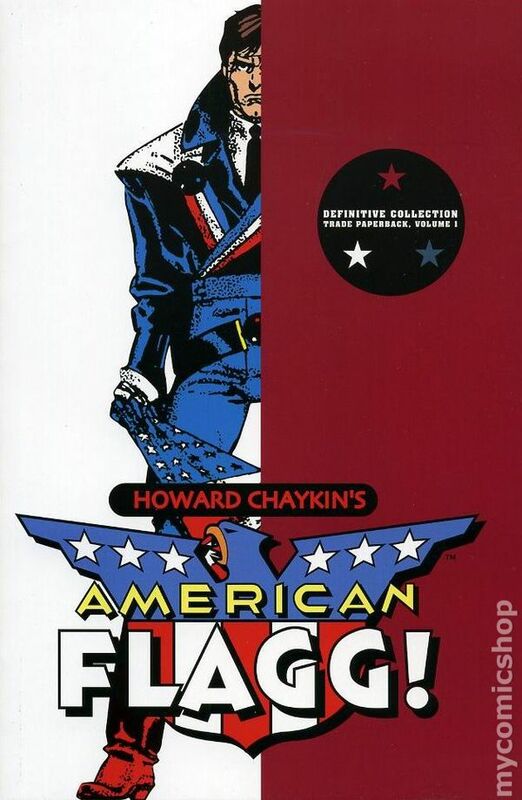 Collects American Flagg (1983-1988 1st Series) #1-6. Story and art by HOWARD CHAYKIN. Created, written and illustrated by HOWARD CHAYKIN and winner of numerous awards and honors, including nine Eagle Awards - now available as a trade paperback collecting the series' first seven issues! Softcover, full color. Cover price $19.99. 1st printing. 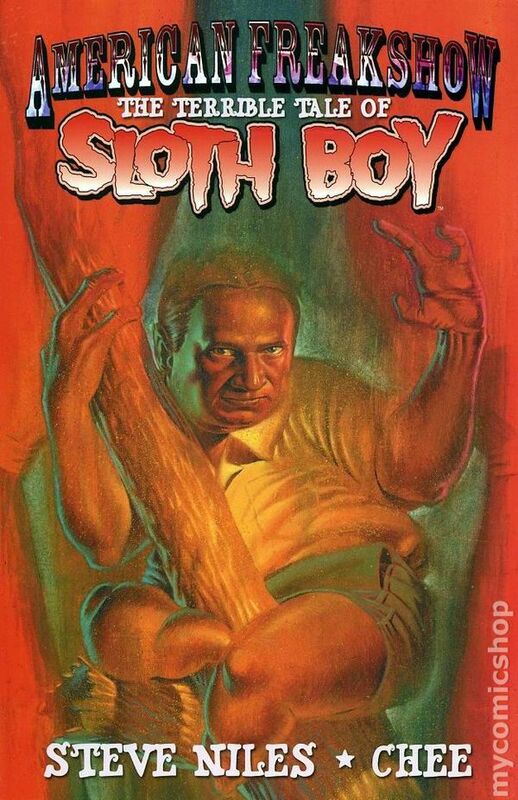 "The Terrible Tale of Sloth Boy!" Written by Steve Niles. Art and cover by Chee. American Freakshow tells the story of the bizarre and cruel life of a carnival freak as he seeks redemption (maybe) and murder (definitely) in a Florida trailer park. 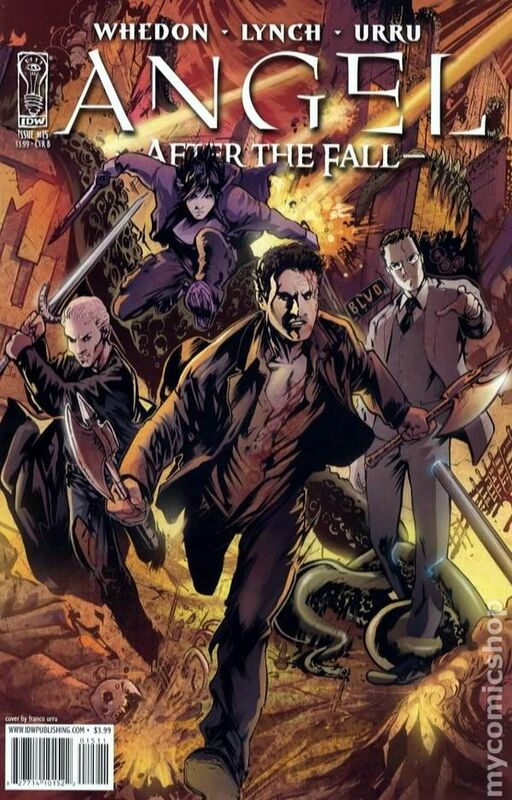 Never appearing in comic book form, this is the first original graphic novel written by 30 Days of Night co-creator, Steve Niles. Softcover, 104 pages, full color. Mature Readers Cover price $17.99. Cover by Alex Garner. Joss Whedon & Brian Lynch (plot) Brian Lynch (w) Franco Urru (a) Over a year ago, they were sent to hell. Lives were changed. Friends became mortal enemies. But now they're all reunited, and unsurprisingly, it is not going well. Friends will die, Los Angeles will fall, and the end of everything Angel holds dear is at hand. 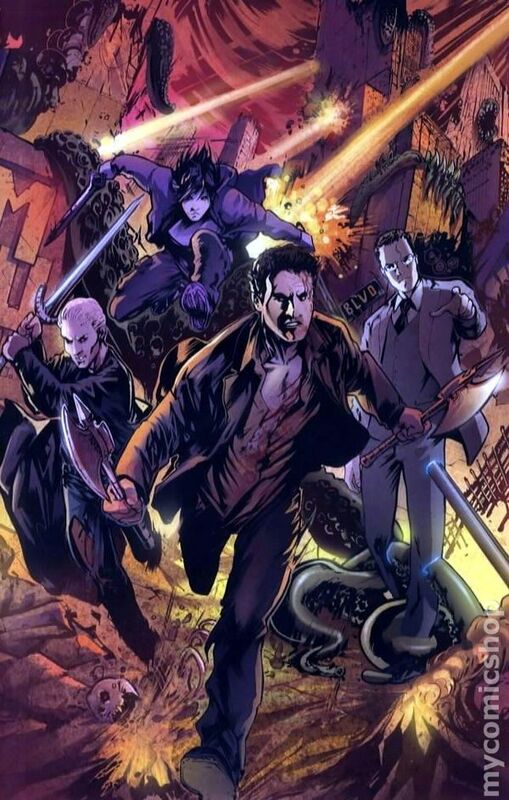 The official continuation of the Angel series continues, courtesy of Joss Whedon, Brian Lynch, and Franco Urru. Cover price $3.99. Cover by Franco Urru. Joss Whedon & Brian Lynch (plot) Brian Lynch (w) Franco Urru (a) Over a year ago, they were sent to hell. Lives were changed. Friends became mortal enemies. But now they're all reunited, and unsurprisingly, it is not going well. Friends will die, Los Angeles will fall, and the end of everything Angel holds dear is at hand. 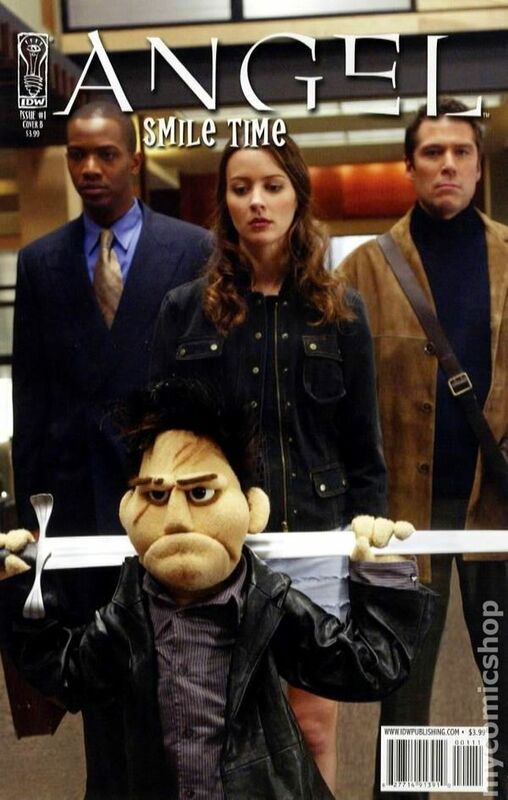 The official continuation of the Angel series continues, courtesy of Joss Whedon, Brian Lynch, and Franco Urru. Cover price $3.99. Limited Edition Virgin Variant Cover by Franco Urru. Joss Whedon & Brian Lynch (plot) Brian Lynch (w) Franco Urru (a) Over a year ago, they were sent to hell. Lives were changed. Friends became mortal enemies. But now they're all reunited, and unsurprisingly, it is not going well. Friends will die, Los Angeles will fall, and the end of everything Angel holds dear is at hand. The official continuation of the Angel series continues, courtesy of Joss Whedon, Brian Lynch, and Franco Urru. Cover price $3.99. Limited Edition Virgin Variant Cover by Alex Garner. Joss Whedon & Brian Lynch (plot) Brian Lynch (w) Franco Urru (a) Over a year ago, they were sent to hell. Lives were changed. Friends became mortal enemies. But now they're all reunited, and unsurprisingly, it is not going well. Friends will die, Los Angeles will fall, and the end of everything Angel holds dear is at hand. The official continuation of the Angel series continues, courtesy of Joss Whedon, Brian Lynch, and Franco Urru. Cover price $3.99. Art Cover by David Messina. Joss Whedon (story) Scott Tipton (w) David Messina (a) Joss Whedon's classic 'Smile Time' episode of Angel became a cult favorite and led to a comic book sequel, Spike: Shadow Puppets. 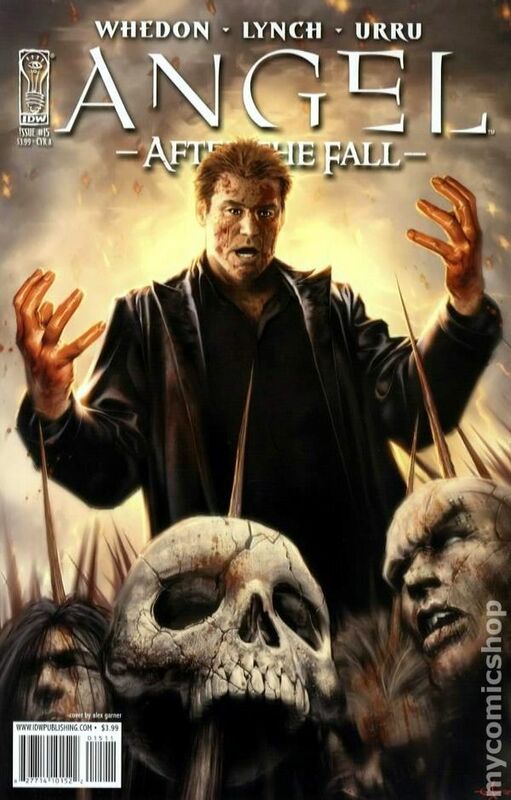 Now look back at that fan-favorite episode, adapted here into an all-new, three-part miniseries by the Angel: Masks teams of Scott Tipton and original IDW Angel artist David Messina. FC 32 pages Cover price $3.99. Photo Cover. Joss Whedon (story) Scott Tipton (w) David Messina (a) Joss Whedon's classic 'Smile Time' episode of Angel became a cult favorite and led to a comic book sequel, Spike: Shadow Puppets. 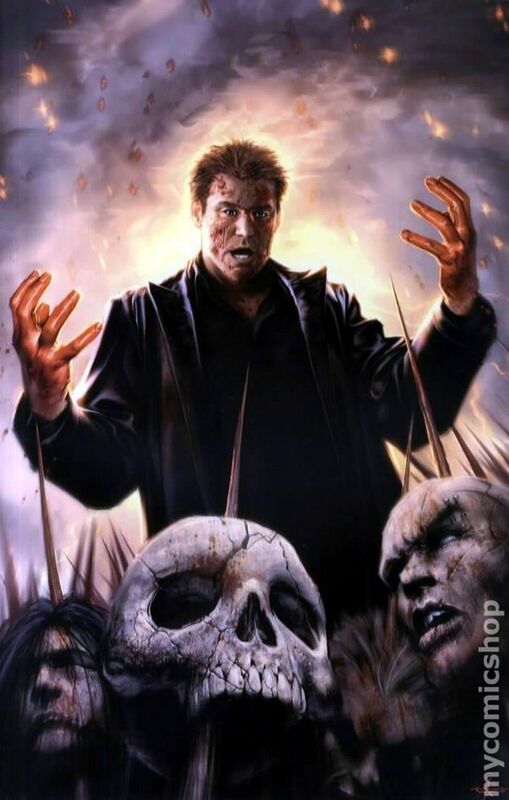 Now look back at that fan-favorite episode, adapted here into an all-new, three-part miniseries by the Angel: Masks teams of Scott Tipton and original IDW Angel artist David Messina. FC 32 pages Cover price $3.99. Published Dec 2008 by Jippi. Volume 2 - 1st printing. Cover by Jason. 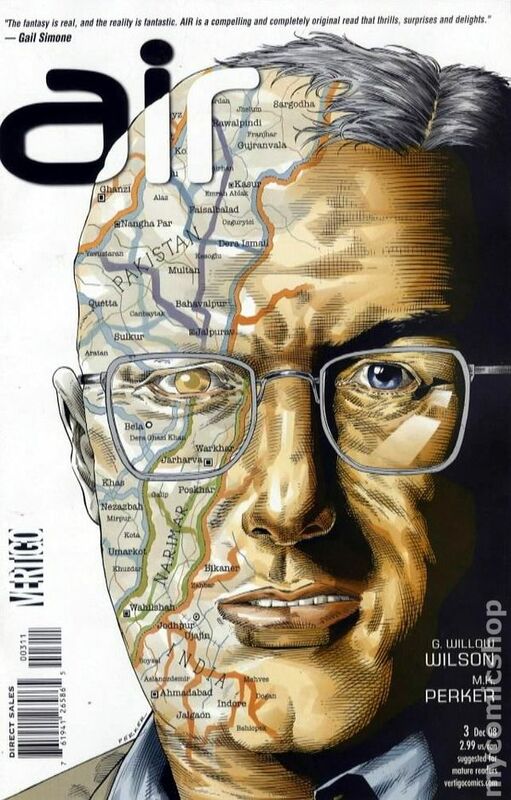 Norway, the land of the fjords, is at the forefront of the European comics scene, and Angst demonstrates the variety and uniqueness of Norwegian comics. 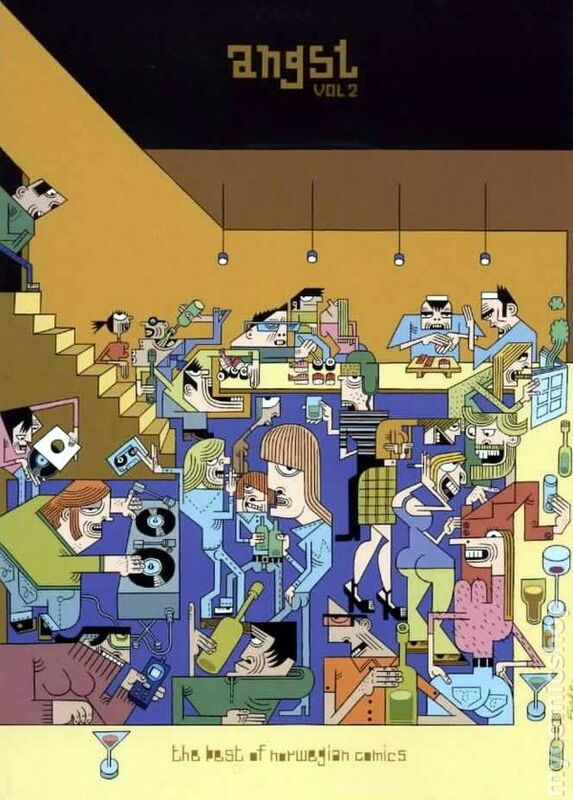 Some of the leading creators of the Norwegian comics scene - Jason, Cristopher Nielsen, Lars Fiske, Steffen Kverneland, Bendik Kaltenborne, Tor Aerlig, Rui Tenreiro - have their latest works reprinted in this collection. Softcover, 128 pages, PC/PB&W. Mature Readers Cover price $15.00. Volume 2 - 1st printing. Collects Anita Blake: Vampire Hunter (2006) #7-12. Written by LAURELL. K. HAMILTON and JESS RUFFNER-BOOTH. Art by BRETT BOOTH and RON LIM. Cover by RON LIM. 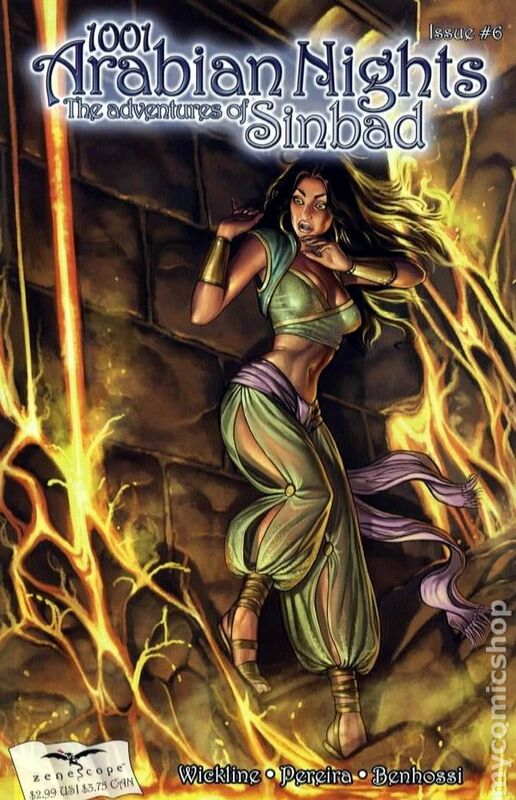 The hit adaptation of Laurell K. Hamilton's Anita Blake series continues! What price will Anita pay in order to save her friend's life and solve the Vampire Murders? Will she actually kiss Phillip? How far will Edward go in order to find out where the daytime resting place of the Master Vampires truly is? Where is Jean-Claude? And most important, who is behind the Vampire Murders? What's next for Anita Blake, you ask? The answers to all of those questions are here! Softcover, 144 pages, full color. Cover price $15.99.